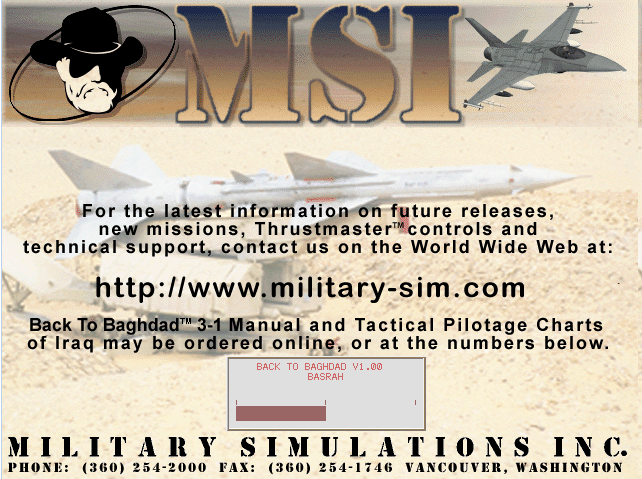 Saddam sez it’s a good DOS flight sim. 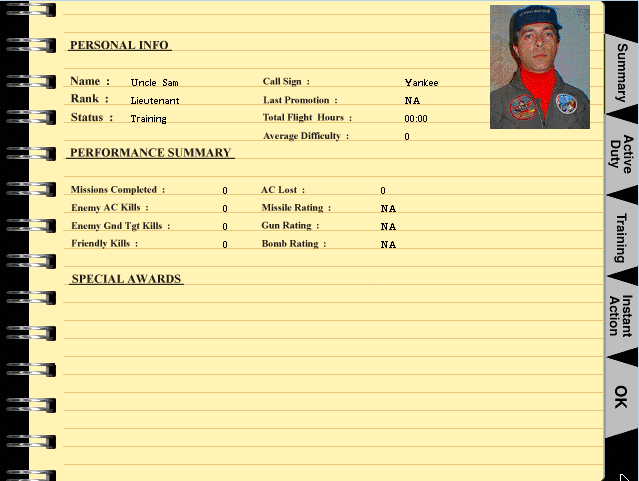 It’s been several years after the first Gulf War and Saddam is quietly rebuilds his army to pre-Gulf War strength. No longer content with just seizing the world’s oil supply, Hussein uses his newfound power to acquire nuclear weapons technology and attempts to hold the world hostage by threatening to destroy major cities around the world. 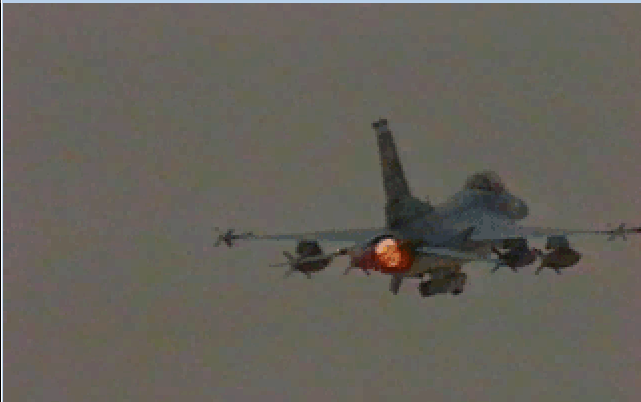 The coalition forces quickly regroup on the Iraqi border and launch a second attack against Hussein, with you and your F-16 leading the charge. That’s the setup for Military Simulations’ first F-16 sim, Back to Baghdad. And while the plot is sure to raise a few eyebrows, there’s no denying that these newcomers are on the right track when it comes to creating convincing simulations. 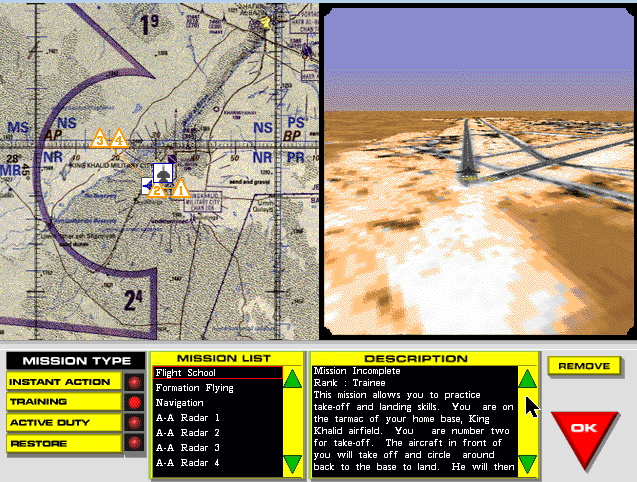 For the game’s terrain, they’ve used actual satellite data of all the major Persian Gulf cities to recreate the Gulf War environment, with everything from major road systems and buildings to rivers and streams accurately detailed. 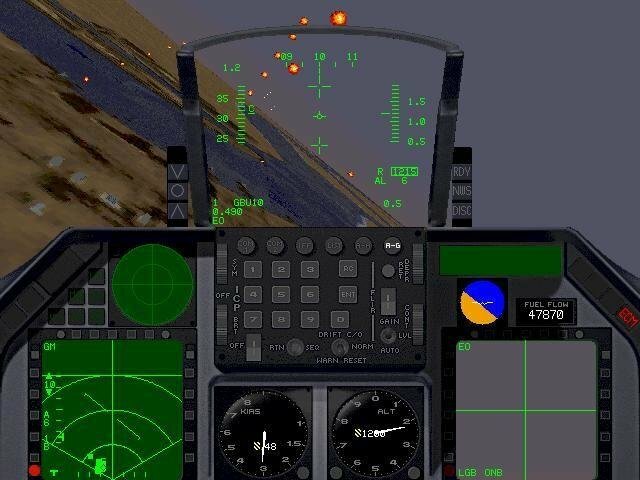 Declassified data on the radar and weapon systems of the F-16 has been used to give the cockpit an authentic look and feel and to complement a flight model that Military Simulations says is the most accurate this side of a multi-million dollar military simulator. All this attention to detail does make Back to Baghdad a very believable experience, at least in the cockpit. 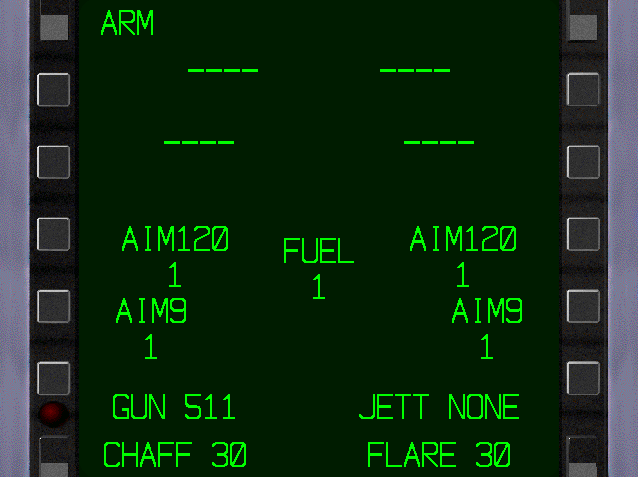 Throughout the game’s 40 missions and instant action modes, your performance will be affected by every conceivable factor, from the strain of heavy weapons loads to the violent shock waves of anti-aircraft fire; you’ll have to get to know your plane inside-out if you hope to survive. 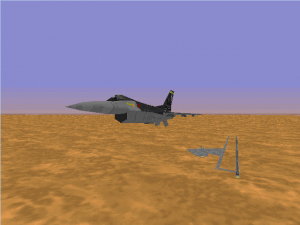 Each mission attempts to recreate actual Gulf War scenarios, including Scud hunts, support of massive ground attacks, and defensive scrambles against the new and improved Iraqi air force. For the most part, the scenarios are well constructed and believable, giving you just enough time to prepare for the inevitable before you’re thrown to the wolves. 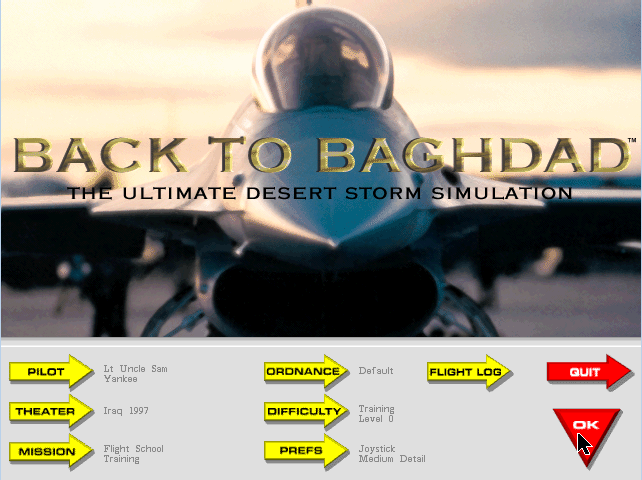 Just like in the actual F-16, the cockpit in Back to Baghdad is a monster of complex readouts, numbers, and displays; unless you’ve memorized the manuals of every F-16 simulation, you’ll certainly find yourself at a loss to figure out even the simplest displays before carefully studying the manual. There are a number of training exercises that let you test different techniques and systems in low-threat environments, but the lack of a proper tutorial that leads you through each function is disappointing. Good thing the manual is detailed. 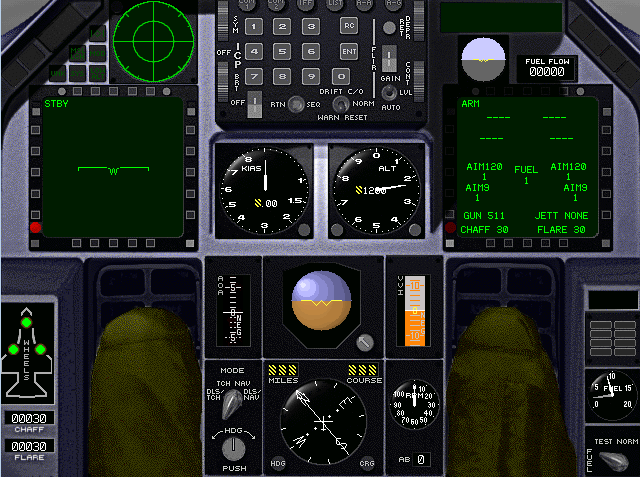 Unless you have the FLCS-16 and TQS, you’ll need to keep that reference card handy, because that’s the only joystick-throttle combination that Back to Baghdad supports directly. If you want to use another stick and throttle, you’re going to have to deal with programming it yourself. 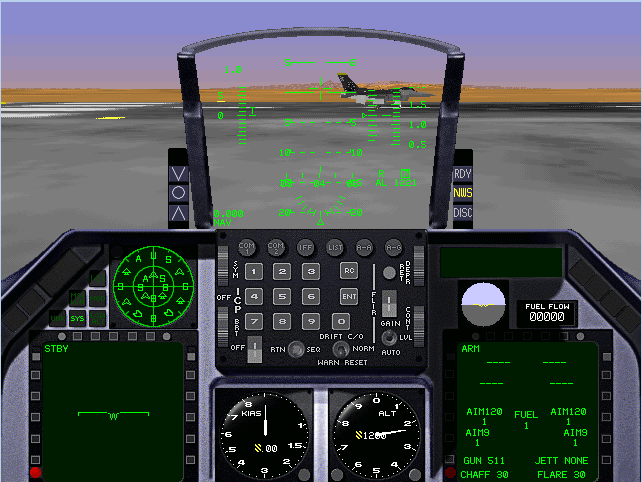 Normally, that’s not a huge task, but for a sim this complex, it represents some real work.